From Hands Full, to Hands Free! The realization of the goal to be the world’s greatest Dad has wavered from time to time, but I am always continually working on it. 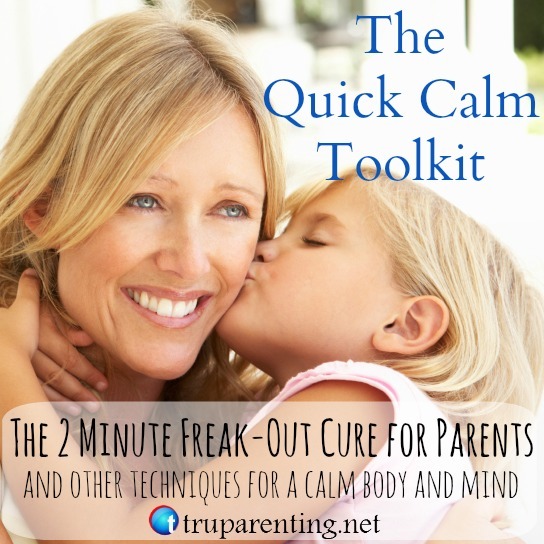 I always prided myself in my ability to be an empathetic, calm, mindful and connected parent. That is one of the reasons I felt compelled to start this blog. However, a few months ago my “Best Dad” goal was threatened and I struggled to see it as it happened. 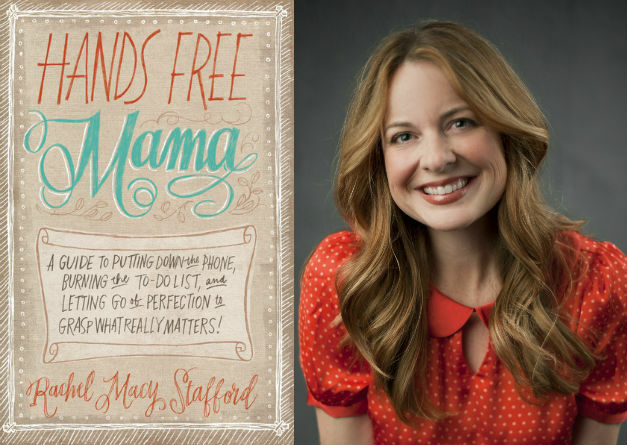 At the same time my friend Rachel Stafford invited me to review an advanced copy of her new book, “Hands Free Mama.” It couldn’t have come at a better time and was instrumental in helping me get back on track. Ironically, after starting my TRU Parenting blog the very characteristics that motivated my writing began to fall by the wayside as I struggled to maintain my desired goals for the blog. My computer and device time left me distracted and disconnected from my marriage, parenting and life. Hypocritical? Maybe. Ill prepared for the blog’s demands? Definitely! Human? For Sure! 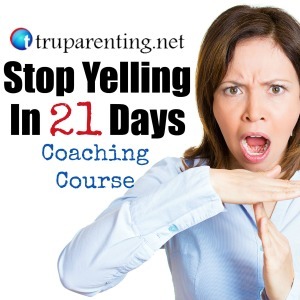 I was distracted and overwhelmed the first few weeks after I launched the TRU Parenting blog. I had thought and dreamed of writing and sharing TRU Parenting with the world and now that I had done it, it almost consumed my every thought. I wanted everyone to see it and yet I didn’t, because after all, what if the things that I was so passionate about didn’t find an audience? Just days later, my wife reiterated this question. She approached me and said in essence, “I love what you are doing with TRU parenting and want to support you, but it needs to be handled in a way that allows us to maintain the blog long term and still nurture family relationships. We will lose something priceless if we continue as we are currently. Is it worth it? You’re head is constantly buried in your phone or computer and even when it’s not, your head is somewhere else. The kids aren’t getting all of you like they used to, and neither am I.” The very purpose for TRU Parenting was being neglected in my own home and family because I struggled to focus on the things that mattered most. The subtitle on “Hands Free Mama” is, “A guide to putting down the phone, burning the to-do list, and letting go of perfection to grasp what really matters!” Not only is it a wonderfully written book with emotionally poignant stories, but it is a handbook, a guide so to speak, to literally doing what the title suggests. Each chapter in the book has weekly “intentions” and reflection questions to encourage an honest look inward and a strong outward change. Letting go proves to require much more effort that we first assume. These elements of the book were incredibly insightful and impactful for me. I knew the same was true with my own children. They were only this fun, playful age for a little while and I had a choice to make. The next day when I was working and my son pulled on my shirt sleeve and said, “Dad, Dad, look what I made out of legos!” Rachel’s statement came back to me and I pushed the computer away to give Eli my undivided attention. His face lit up and we shared something special. Rachel shares a couple specific practices that are staples in our home, however in my distracted state, they had been pushed aside or received my distant participation. She suggested establishing simple family traditions like a family game night and encouraged parents to implement special distraction free times, like bedtime routines, that are sacred. 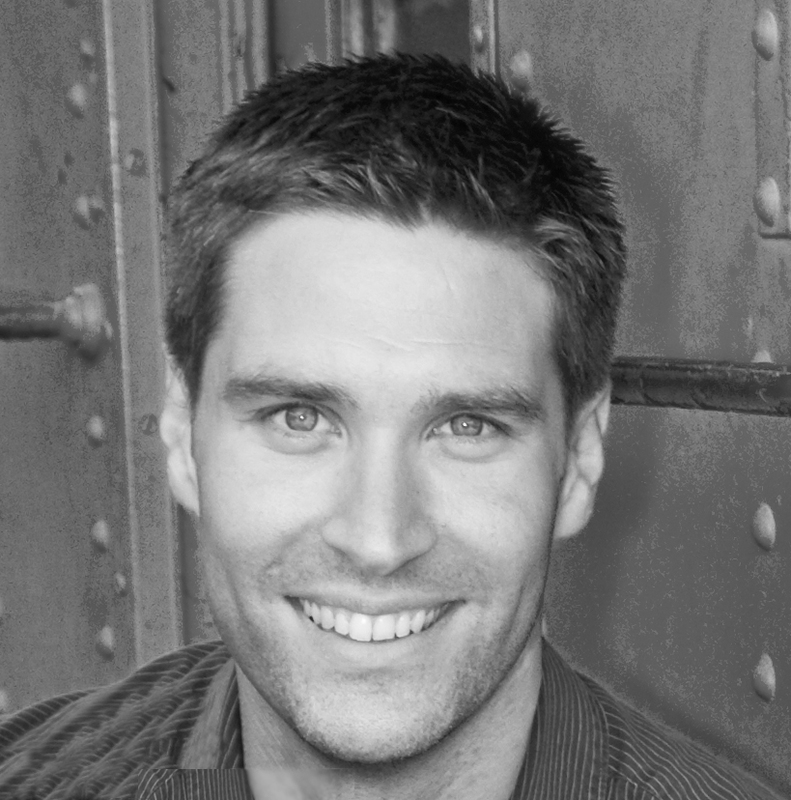 I had always enjoyed bedtime but it had become something that took me away from the “things I needed to get done.” My wife and I recommitted to these sacred family events and I set out a schedule for writing and working on the blog that would not interfere with important family practices or any of the waking hours with our children. It took some adjustments, but was worth it all. When I got organized and was able to focus on who and what was in front of me, I not only reconnected with my wife and kids but became more productive with the time I had to work. There is a line in the book where Rachel tells a story about her daughter’s excitement to see her. She says, “I didn’t know anyone could be so happy to see me- because I hadn’t stopped long enough to notice.” This same sense of joy and gratitude fills me each night as I walk through the door when I come home from work. My kids faces light up and they run into my arms. That is enough to live on, enough to keep me living Hands Free! I join Rachel in this journey to continue to live Hands Free regardless of what comes my way; to always keep what is most important in perspective. I’m so grateful for this beautiful and gentle reminder to take me back to the path to be the father I have wanted to be since I was 17 years old and to enjoy every minute of it! Thanks to my wife. Thanks to Rachel and Hands Free Mama! TRU Parenting will be starting our “Hands Free Mama” Giveaway today! You could win an autographed copy of the book. 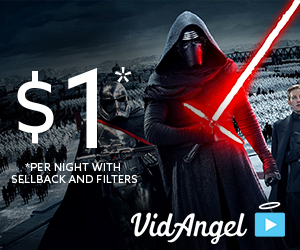 Enter below and come back for more chances to win over the next 3 weeks! Question: If you haven’t read Rachel’s book, why should you win the autographed copy of “Hands Free Mama?” If you have read the book, what are your favorite quotes or moments in the book? I would love to read Rachel’s book! I’m currently working to reduce the “filler” stuff that distracts me from focusing on what I really want to. Good luck with winning a copy of the book Aaron. Whether you win our not, it is an awesome read and you should definitely get it. She had a way of writing that is inspiring and instructional without being preachy our too in your face. It’s the gentle reminder we all need from time to time. My favorite tru parenting post was the one about turning off the tv. Our family theme for the year is ‘Connect’ which is largely about disconnecting from the distractions of the world around us and connecting better with one another and those around us. Thanks Kresta. That was a fun one for me to write. I wish people would start sending me the $19.95 for the “TRU Parneting Brick” but whether I make any money on the product or not, I’m glad you enjoyed the post. It is awesome that your theme for the year is “connect!” I think something so simple as that one word is so profound and can change so much in our lives. Thanks for sharing! You will love this book if that is your family goal. That is Rachel’s message to us moms! I don’t have Rachel’s book yet, but I follow her on Facebook and get her posts to my email in box. Most times, I read her post while my girls are at school. Chances are good she’ll get my tears, my nodding head and my (re)commitment to do better for my girls. I’m always striving to be present with them, but it doesn’t always work. I hope that having something so precious as her book (signed no less!) would keep me committed even on the days when her message doesn’t come into my email in box. Juli, I know what you mean. 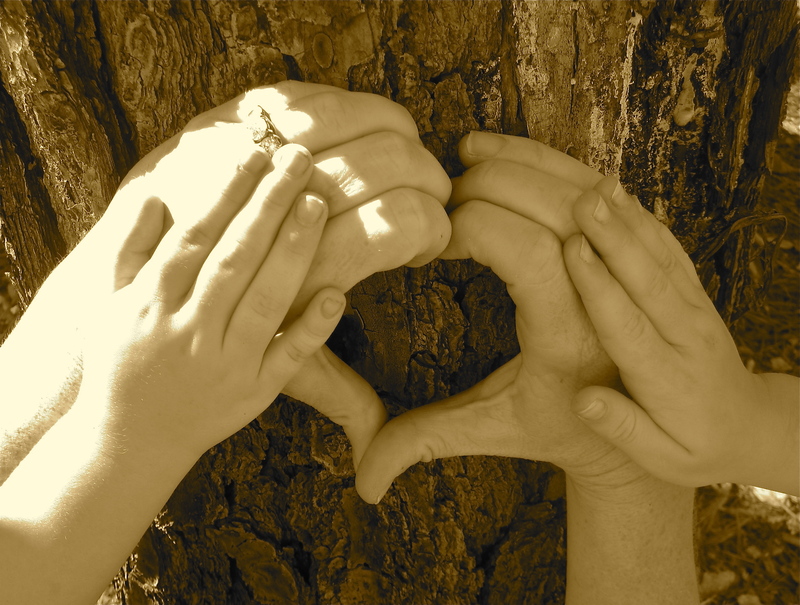 Rachel’s blog posts never fail to inspire me to recommit and reconnect. I’m sure your girls will love what happens to their mom as you apply the principles in the book. My biggest struggle as a parent has to be that voice in my head that criticises me for my choices and pushes me to be ‘perfect’. I second guess my instincts and doubt myself at times and there are so many things in our modern world that give that inner voice extra strength. I am a great mum and I try my hardest to be present but would love to receive Hands Free Mama to give me strength rather than that little inner voice. You are definitely not alone Mikaela. I think we all struggle with that “inner voice” from time to time. Men and Women, Husbands and Wives, Moms and Dads all experience discouragement and the expectation of perfection. I also try to remind myself to give up! Give up control for influence, perfection for improvement and THE RIGHT way for A GREAT way. I find when I remember those things, the negative inner voice doesn’t stand a chance! Thank you Rachel! I am blown away by the amazing work you are doing and the awesome family you are raising. I loved seeing the picture of your daughter signing one of your books the other day. I’m sure she was pretty thrilled by that. I look forward to each of your posts. Thanks so much for everything! I downloaded the Kindle version of the book and absolutely love it! I want to win a copy for my sister-in-law who works so hard and falls into the same crazy, non-stop pit of perfect parenting as we all do. She gets so frustrated she wants to give up and that’s just not an option. I want her to see there’s more!! Thanks for being there for your sister Ashley! Keep being her greatest cheerleader. I’m sure she appreciates your support so much. I don’t own a copy of Rachel’s book however I recently started my “Hands free journey” about 6 months ago when I stumbled across her blog. She is an inspiration and a reminder what truly is important in life and the direct affect you have on your children (monkey see, monkey do). By sharing various blogs and books that have inspired her I have also been fortunate to start reading your blog and download “5 Jump Starters for Powerful Family Cycles” this is a fabulous community sharing a great message. Thank you Cheryl. I’m so glad that you found our site and community. I’m always amazed by the parents I meet and talk to. Thanks for downloading “5 Jump Starters…” Please let me know what is helpful and how else I can help you and your family. Living Hands Free is an awesome experience. I’m so glad for the opportunity I’ve had to get to know Rachel and her beautiful writing. I don’t own a copy of the book and I feel a little…embarrassed, maybe ashamed to articulate why I know I should read it. I recently have become more and more aware of the times I am waving my children off because I’m glued to technology. I remembered back to when I was a kid and how I knew full well when my parents were really listening and when they were otherwise occupied (and I have wonderful parents who were extraordinarily attentive to me…I’m just saying that I know that even young kids are very aware of when they actually have us present). I do not want to keep being this way. I do not want my kids memories of me to be most often politely dismissive of them. This goes for my marriage, as well. I’ve heard of Rachel and love the idea of being a “hands free” mama, but I would love to have her personal applications and motivation to change the way our family (namely…ME!) functions. Felicia, thanks for sharing your struggle with this group. I know the book could be a huge help to you. I just read the other day the old proverb that said, “The best time to plant a tree is 20 years ago. The second best time to plant a tree is now!” I love this because we can spend so much time in “should haves” but what really helps is just doing something today. 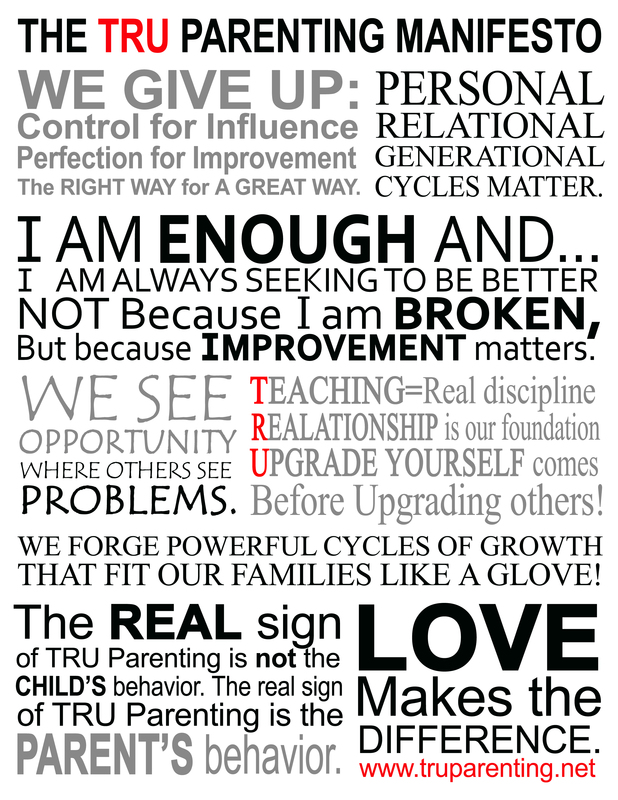 One of my favorite messages here at TRU Parenting is just the simple concept that we are not perfect parents, just a little better than yesterday. I can be really helpful to just set aside a little time to be a little more present with our kids. Don’t change it all, all at once. Just do a little today and a little tomorrow. That is how happiness happens and amazing relationships are grown. Thanks so much for sharing your thoughts Felicia. I should win it because even though I just promised my 4-year-old I’d help him with a puzzle in just a minute, 5 minutes later my head is still buried in my computer. I should win it because I limit my children’s screen-time, then forget to limit my own. Finally, I should win it because I am starting a new business and know that I’ll need help keeping myself grounded so that I connect as often with my family as my clients. Good luck in your new business endeavor DGMommy. I love that you recognize that those screen habits need to change. I needed my wife and Rachel’s book to bring that back to my attention. The trick is to simply make it a priority and be very deliberate about how you use you time, not in the sense that everything is a big check of list, but that certain things come first and those 5 minute interruptions from your four year old might be the greatest moments and joys you experience. And those moments will recharge you and give you more energy for the other things in your life. Thanks for sharing! Thanks, Andy. It’s very interesting because after going through the training two weeks ago necessary to actually launch my business, I’m much more able to be present with him. That’s one of the benefits of my “job.” I identified my family life as one of the top 5 most important things to me and continually choosing in favor of that passion allows me to choose my kids over my business… well, 85% of the time. Always a work in progress! That is awesome that you made that firm commitment going in to it. After the realizations I talked about in this post happened I also feel that my connection has been enhanced. It’s something we’ve always got to keep our selves in check for. Thanks. Such true principles! It is interesting to read your comments because so many of them center around the distractions of your generation. I am a generation ahead of you and so my distractions were different than yours are now. But the challenge to focus on what really matters most has always been there and always will be. I am a pretty driven person and always like to get things done that SEEM to be important. When I first started raising my children (Andy was one of them) I was probably the queen of “to-do lists”. My life altering experience came when I had two small children and was pregnant with our third. I was in a car accident with them on the 17th of December. (Just so you know, being that time of year, my “to-do list” was especially long…it had 23 things on it). Jenifer and I were in the hospital for 4 days and then I went home not able to really do much of anything. About 2 days before Christmas a dear friend called to see how I was doing and asked if there was something I needed her to do for me before Christmas. When I looked at my list there was only ONE thing that I still saw as important enough to ask for her help. I had planned to make Todd, my little boy, a Christmas Stocking like Jenifer’s (his sister) before Christmas. I didn’t ask her to make it for me, but would she mind buying him one before Christmas? When we were off the phone I went back to my list and had a great “A-Ha” moment. I realized that no one other than I knew that those other 22 things weren’t going to get done! AND IT DIDN’T MATTER TO ANYONE ELSE! Were they good things? Absolutely! But were they what really mattered? NO! After that I did try to put my lists in proper perspective. I know I didn’t always do it well enough, but I do know that I tried and did know what mattered most. Like has been said here, some opportunities only come once. Thanks for sharing this experience Mom. It’s fun to hear about the experiences you had coming to some of these same conclusions. Thanks for all your support, kindness and love. My biggest struggle as a parent is learning to let go. Due to medical reasons I am unable to bear any more children. We have a six year old daughter and she is the light of our world. I am very protective of her and sometimes it is hard to let her venture out on her own. When she was younger and entered daycare she had separation anxiety as well as myself. It’s getting better though. Thank you for offering this. I’m glad I have the opportunity to offer this Loretta. Letting go is something that happens a little at a time. Your daughter knows you love her and I think that is most important. You will really love Rachel’s book! I follow Rachel on facebook and her posts are very insightful and positive. They make me believe that positive changes in parenting are possible. And sometimes the littlest shift in focus can have a huge benefit. I would love a copy of her book. You will not be disappointed by her book Pam. Thanks for checking out TRU Parenting.